Candles are so romantic, so absolutely right for weddings, but they have to be positioned carefully because of their naked flames. That’s why we’re huge fans of the dainty tea light in a pretty holder that not only shields the flame but enhances its glow! Fairy lights are also magical, but the huge advantage of the tea light is it needs no wires so can be placed anywhere. 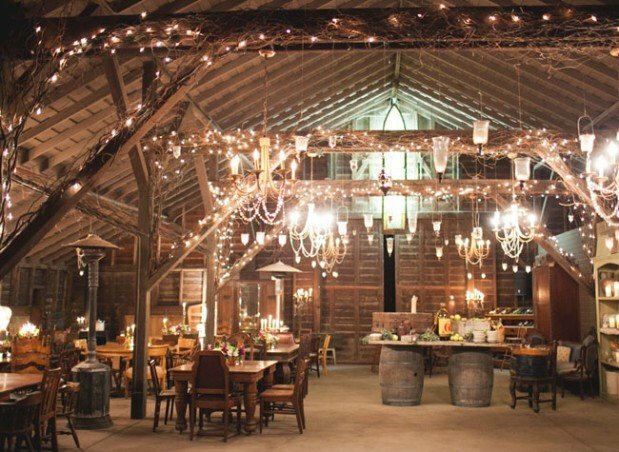 Use a mix of fairy and tea lights together to create a romantic, glittering wonderland at your venue - they’ll complement each other beautifully. To make a real impact, you need lots of tea lights - and glass holders are expensive. 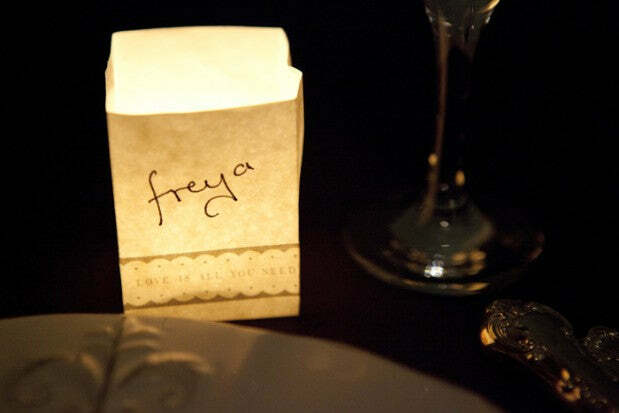 The solution: flame-retardant paper lanterns. Our Small Paper Lanterns are a snip at 60 pence each and they can be decorated with ink stamps, stickers or tape for an effect totally unique to you! They can even be used to create the prettiest place names... Battery-operated LED tea lights are a safe option if flame is banned; and inside one of our lanterns, no one will spot the difference. Enliven a dull corner with a group of twinkling tea lights under a special photo or meaningful poster you’ve bought for the day. 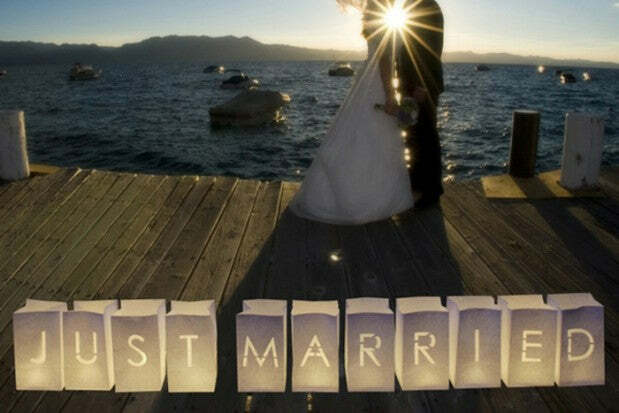 Send off the happy couple with our large Just Married lanterns - the perfect backdrop for the first photo as Mr & Mrs! Incorporate tea light holders into centre pieces; use our small paper lanterns as place markers; spell out a joyous message with our alphabet lanterns. Tea lights give a soft, subtle light that enhances flowers, faces and food!